Thirty years ago, the first Czech appeared at the starting line. In 2004, a Czech brand drove in the official convoy of vehicles, and this year marks the seventh year that the best cyclists have taken the Czech made trophy away from the Champs-Élysées. 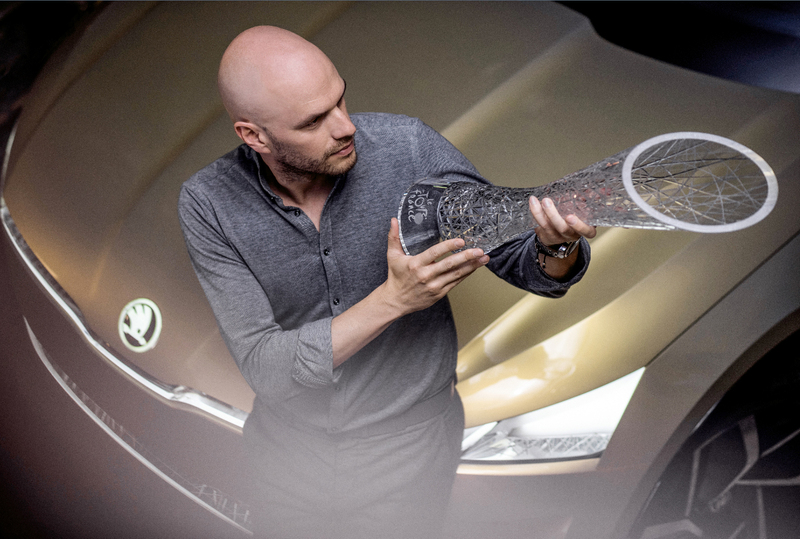 “The choice of material was clear and simple,” says Peter Olah, designer for ŠKODA. 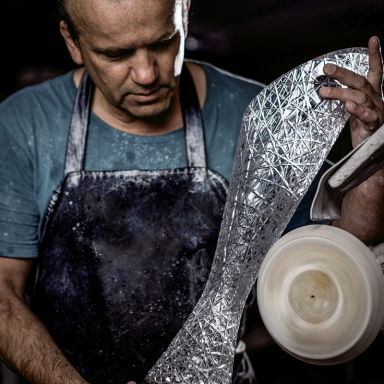 In 2011, Olah and the glassworkers on his team began writing the story of the cups, which has stood in the halls of fame in Australia, Britain, and also in Columbia. 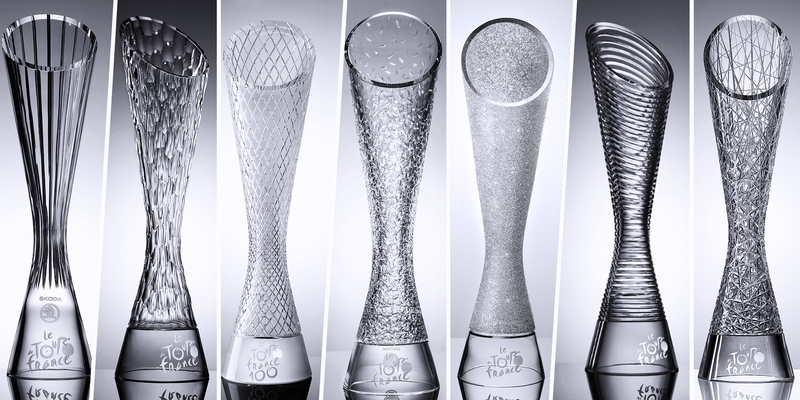 This year‘s trophies will once again be created in the glass workshops at Lasvit and bear the signature look of the ŠKODA design department. 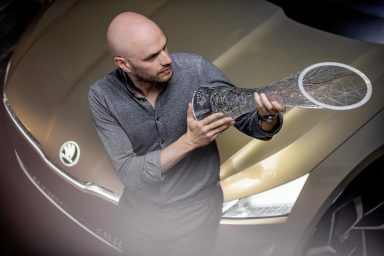 The form of the trophy itself remains unchanged in comparison to previous years, but features creative ideas drawn from the concept of Mladá Boleslav’s first electric vehicle, VISON E, which was introduced mid-April at the Shangai Auto Show. 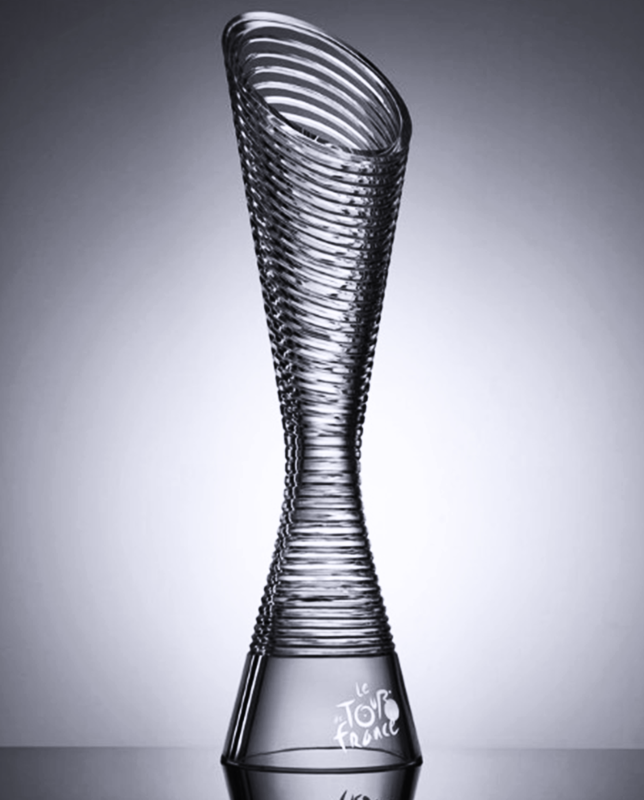 Its dynamic lines have been reflected in this year’s trophies which embodies the modern form of Czech Crystal. Making one trophy takes around 23 hours. 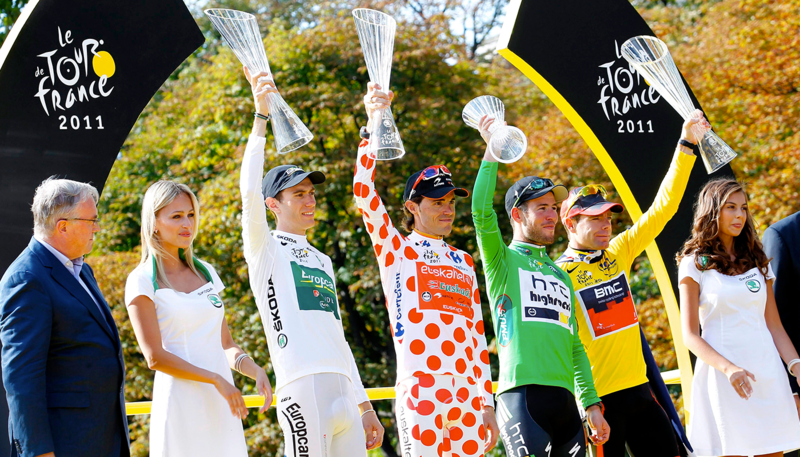 For years, anyone could read the name ŠKODA on the white jerseys, which the Tour de France draped over its most promising youth under the age of 25, but all of this changed in 2015. The Czech automotive manufacturer climbed the ladder of prestige and became the sponsor for the jersey awarded to the best sprinter. 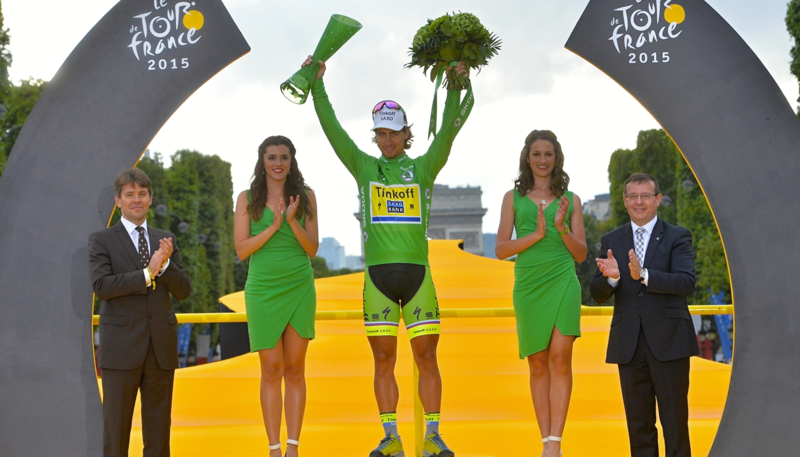 And the trophy, which was taken home by the Slovak speedster Peter Sagan, lived up to this honor. This trophy, like the three other trophies that year, received a completely new look called StarDust, which is thousands of crystals embedded in a glass mantle. “People have always tried to reach the stars,” says designer Peter Olah, “and these stars are the racers of the Tour de France whose performances are exceptional. 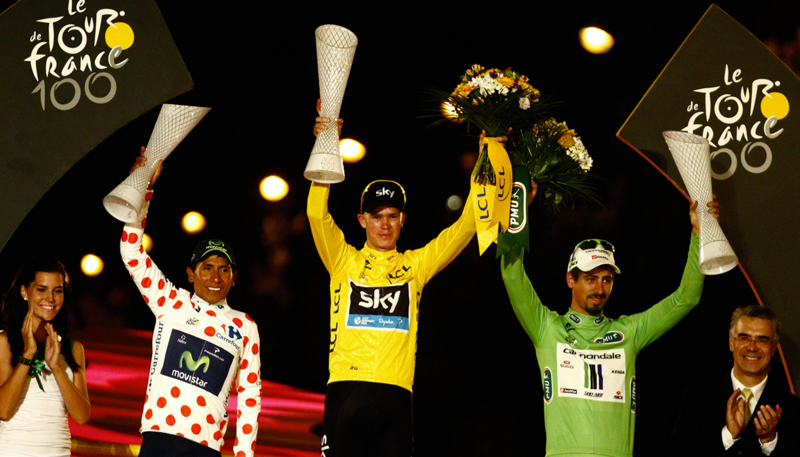 We used a unique technology for glass inlays, which lit up the entire Champs-Élysées.” Chris Froome, who had to leave the previous year early with injured wrists and confidence, was there for the second time as the winner along with his Czech teammate Leopold König. A return to the past, a return to the era when ŠKODA had not yet manufactured cars and when the Tour de France still only eight years old. 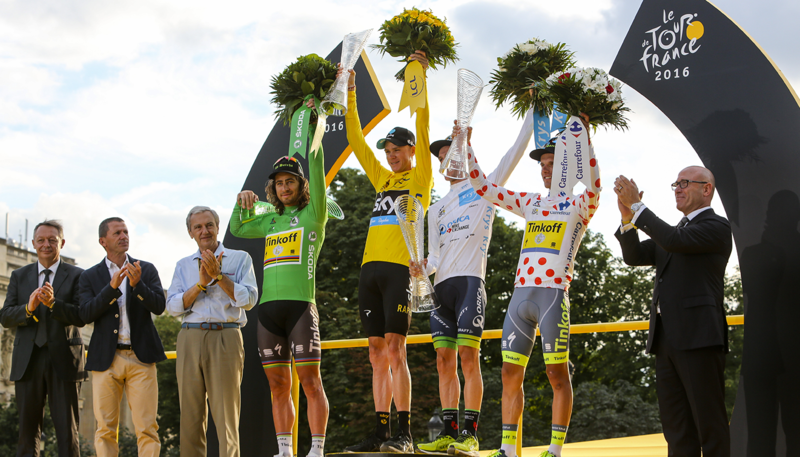 These were the reminiscences which were reflected in the trophy for the Grand Boucle in 2016. “So we returned a little bit to the roots of cycling,” said Peter Olah, whose signature is found on six other editions of trophies destined for the heroes of the Tour. “I received the idea when I walked through the ŠKODA museum and saw a bicycle displayed there. That was the first thing that Misters Laurent and Klement, founders of the ŠKODA brand, produced. I came out of there fascinated by the battles between competitors, wheel on wheel, and so we made a circular design, which symbolizes the spinning wheel.” And it was Chris Froome’s wheels that were spinning so busily. So if we go through his tracks during this interlude on the famous Mont Ventoux, we could also run over Froome’s tire as an accompanying erratic motorcycle did, rendering it inoperable. And so, Froome dashed after his goal on foot. 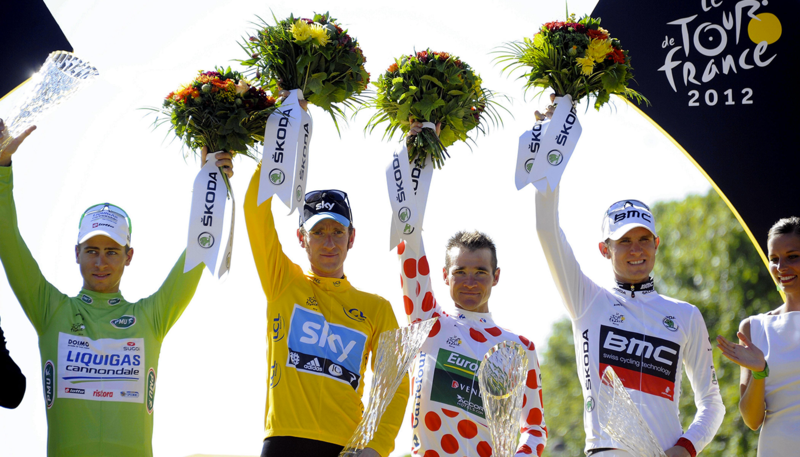 Although the newspaper headlines reminded us that Froome is a Kenyan by birth, he endured this misfortune like a Brit on the way to his third yellow jersey in Paris. WHICH TROPHY IS THE MOST VALUABLE? AND CAN THEY BE COMPARED IN ANYWAY? Bolt fought for his ninth goal medal in Rio de Janeiro, he became the most famous athlete of all time. And the Olympic gold is proof of exclusivity. “Now I am finally a legend,” the Jamaican announced. Higher, faster, stronger is the motto of the Olympics and these are precisely the criteria that define the journey to all other trophies, which guide every athlete, every day, to the training hall. 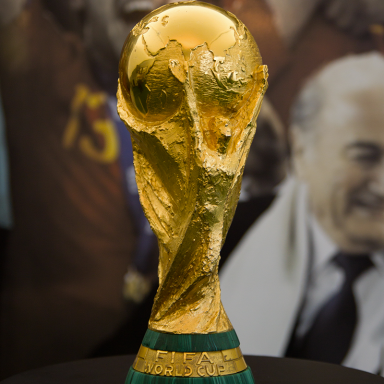 Six kilograms of 18 karat gold entice every footballer in the world, who, every four years, meet to fight for the title as well as the trophy for the World Cup. Perhaps it does not have a the history as some of the following (it has only been awarded in its current form since 1974), but certainly it is one of the most ordinarily recognizable. For the former Commonwealth and the cricket world, the trophy is an idol in the shape of a cup named The Ashes. And Petra Kvitová could tell you about the value of a bowl she took home twice in 2011 and 2014 from Wimbledon. 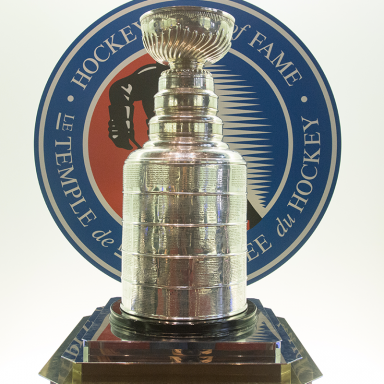 The oldest of all of the famous trophies is the Stanley Cup which, was first won in 1893, and which over four dozen Czech hockey players in the NHL have won.